There's a wonderful little restaurant in town that serves an herby compound butter with their bread basket. It really stands out because it's different and unexpected, and husby and I always comment that it's so fancy and fun. In anticipation of the holiday season (the fanciest time of the year! ), I'm sharing four festive compound butter recipes. 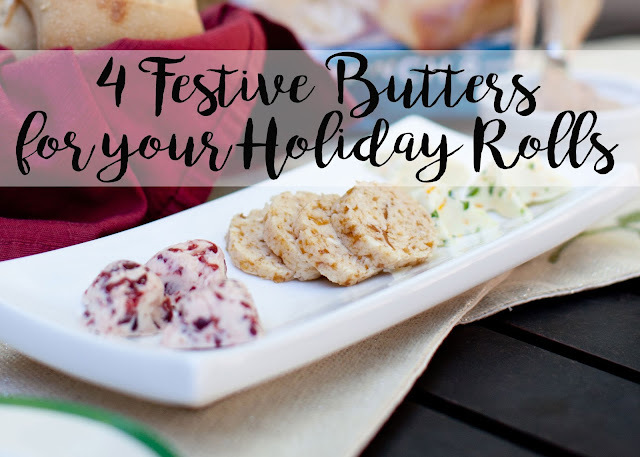 They'll make those dinner rolls on your upcoming holiday table even more special! 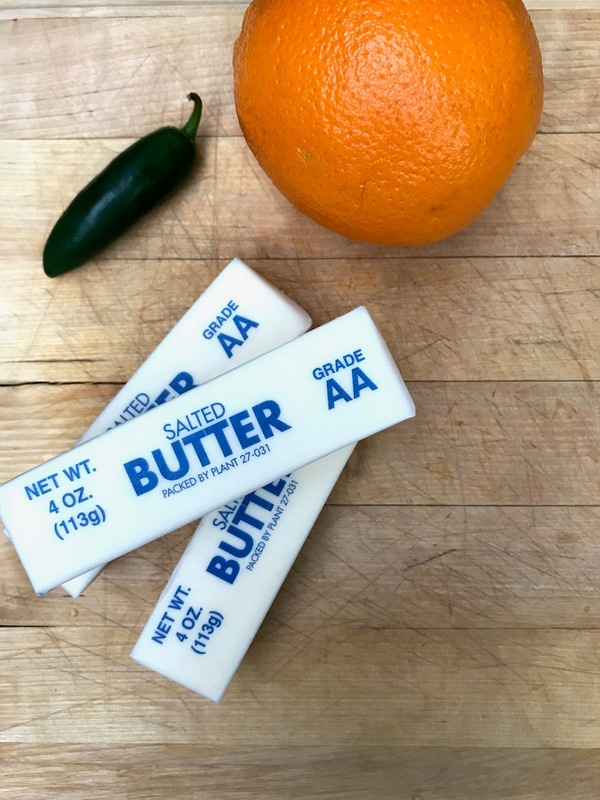 *For each recipe, simply soften butter and stir in ingredients! Fill a ramekin, roll into a log with saran wrap, or spread into silicone ice cube trays to make fun shapes. Refrigerate or freeze and the butters will last several weeks. While the butters can be served with veggies and meats, and used to top waffles or sweet potatoes, what better way to enjoy them than on a piping hot roll? 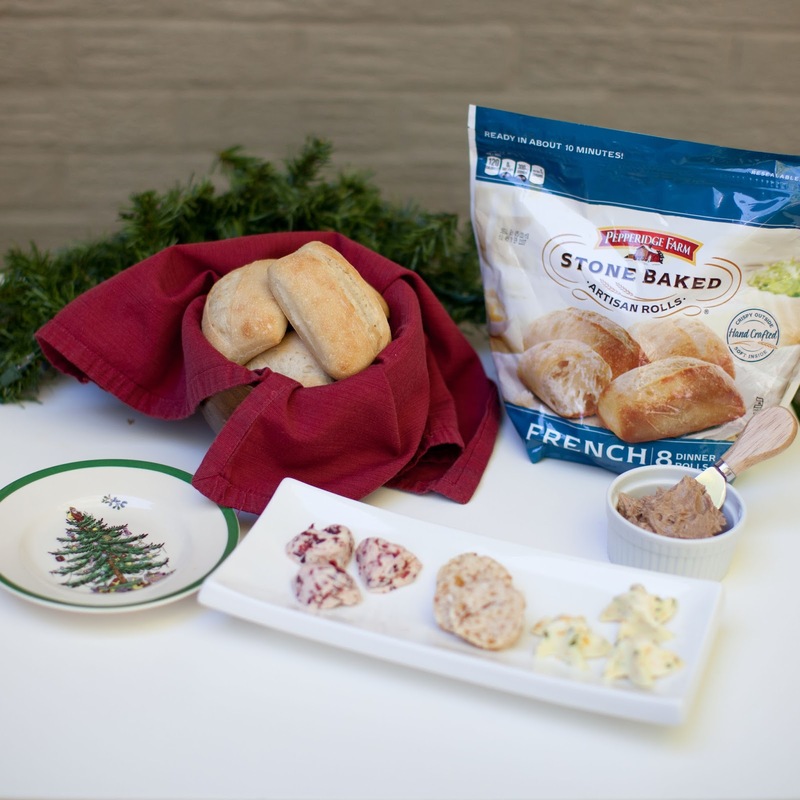 And what easier way to get fresh out-of-the-oven rolls than using Pepperidge FarmⓇ Stone Baked Artisan Rolls? I just pick up a bag of the rolls (found in the freezer section at my local grocery store) and bam! Delicious warm rolls whenever I feel like it (plus ten minutes in the oven 😉). 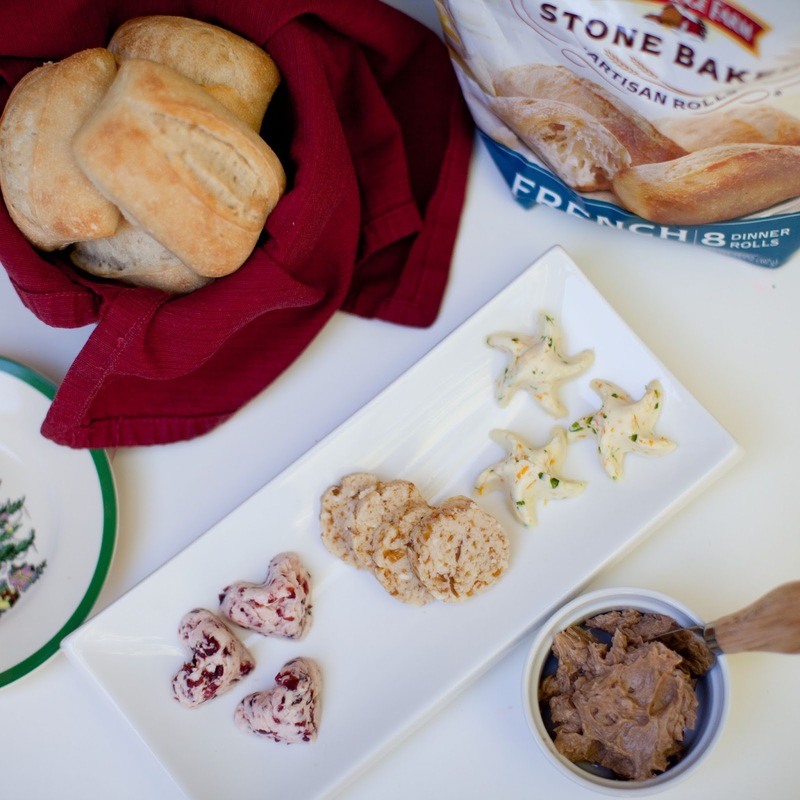 Pepperidge FarmⓇ Stone Baked Artisan Rolls will definitely be making an appearance on our holiday table along with our turkey and ham, but I love that I can also pop random ones in the oven at any given time (say to make sandwiches for lunch, or just as an afternoon snack with some of that cranberry butter!). Click here for a coupon for $1 off a bag of your own! Very nice post! I definitely need to try your butter spread recipes! Looks super yummy! My mom makes homemade honey butter and we LOVE it. That jalapeno orange sounds amazing. 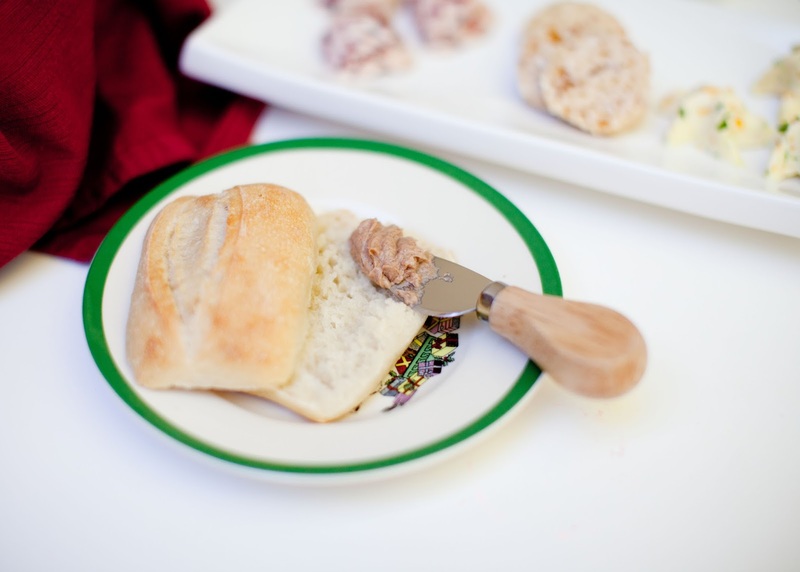 I am going to give the maple cinnamon butter a try! It sounds and looks so tasty. The maple cinnamon....yum!! And which restaurant are you talking about?! Those all sound so good! I'll definitely have to try some!! They look so delicious too! These butters sound sooo good! 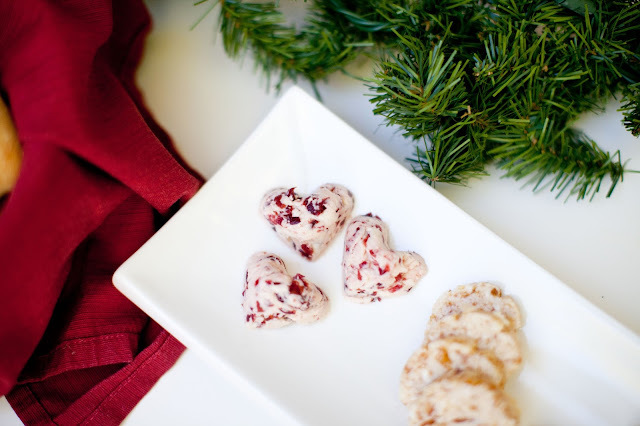 You had me at cranberries!! Yum!